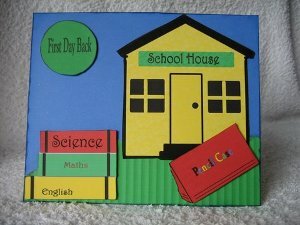 Some Easy Ideas for Kids Card-making. Some of your very best ideas come from kids card-making. Children are so easy to make cards for and they are always pleased with the result. 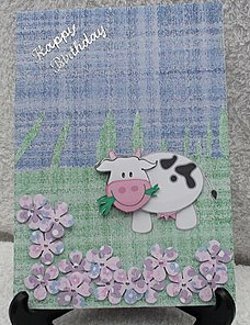 You may want some ideas for kids card-making or you may want to get them involved in making some for them selves. 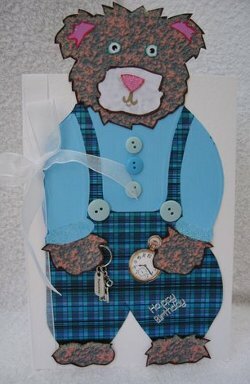 Making cards for children is lovely because there are so many ideas on the market. Little girl colours are everywhere, and ribbons, bows and gems look adorable on cards for them. For boys there are space ships, football, cars and many more ideas for you to try. Cartoon themes are always good fun for younger kids cards, and there are many CD's around to help you produce some really delightful ones. This character is from the "Keepsake Catwalk" by the Glitter Girls Older children (and me!) will find so much pleasure in this CD. This gives you an array of different characters, that parade on the catwalk waiting for you to choose the one you want. When you have made your choice, then dress the image as you want, print it off and make up, great fun for you and the kids to play with. You will need the embossing board to go with it though, to help you get the finished garment looking good. Name your character, and save it ready for the next time you want to use it. Are the long school holidays stretching in front of you? Or is it a wet Sunday afternoon and they are bored? Perhaps you have a child recovering from illness and they need something to do. Let their imaginaton run loose, children have the most brilliant ideas. These bright primary coloured cards are just the trick for youngsters. Help them to make some cards for their own use, for example ... do they have a birthday coming up soon, then let them make some invitaions to a party they are having. Show them how to make some Christmas cards to send to their friends. Or even a thank you to the teacher at the end of the school term. Let the older children loose with some of your Circle punches and see what their imagination can produce. 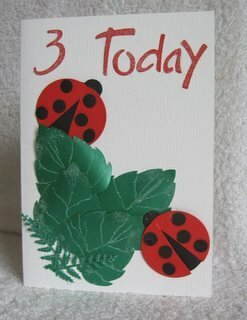 This Ladybird Card is very easy for them to do, and the bug can be any color they want it to be. With younger children, taking some simple precautions, before you let them loose with their own projects, will save your sanity. Damage limitation is the name of the game. Get lots of old newspapers to cover your work surface, and use round edged scissors if cutting out. Better still show them how to tear out the paper shapes they need instead. 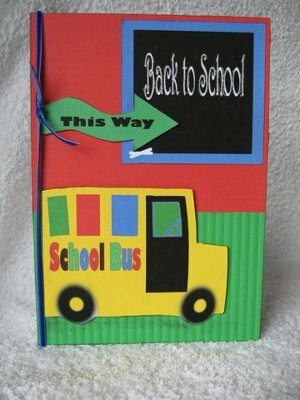 Use glue tape runners or double sided tape instead of a wet glue. on the back and then watch the recipients face light up when they get it.